I wasn’t optimistic when I drove into the parking lot at Bryce Resort and checked the temperature on my dashboard: 59 degrees. Then I glanced up to the snow-covered slopes and saw a fair number of skiers flying down the Virginia mountain. It was The Hill School’s first Friday ski day of the season, and Cam wasn’t at all worried about the conditions. In fact, he was thrilled to get out on the slopes. I parked, got him dressed and off to the chairlift and then considered my alternatives: Work, socialize or ski. I was leaning toward the first option when I heard from another parent that the skiing was pretty darn nice despite the warm wind. OK, that was all I needed, and it was back to the Tahoe to retrieve my equipment. 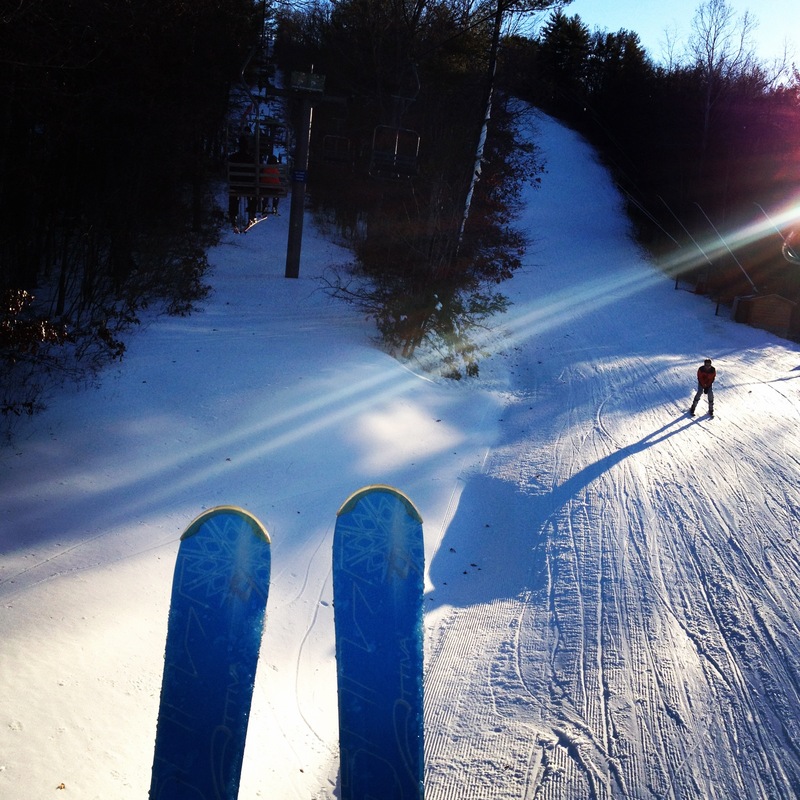 It turned out to be a great first day to get my ski legs back. I caught up to my good friend and client Paul Haefner of Riding Far LLC and skied with him most of the afternoon, discussing all matter of subjects, including our upcoming projects together. All and all it was a wonderful day. The snow did get a bit slushy toward the end, but it was the perfect opportunity to regain my confidence down the slopes and maybe, just maybe, my lift ticket was even a business deduction! Wow!! nice pic of snow. Thank you, Rosy! It was a nice sunny day to capture a few images!